Koreans have been enjoying salted and fermented vegetables known as kimchi for about 2000 years. But this spicy dish is much more than a condiment. More than 130 studies attest to the amazing healing properties of this humble food. Fear of infection with the Ebola virus is becoming as contagious as the virus itself, with mainstream media outlets like CNN reporting, 'Ebola outbreak could have 'catastrophic' consequences.' But what if natural therapies are already available? Is Eating and Injecting Aluminum Safe As Our Regulators Say? Aluminum toxicity, a characteristically manmade problem, is now impossible to avoid, and has become a postmodern human rite of passage. Not only are we being exposed, daily, through environmental pollution in our water, soil and air, but many of our regulatory agencies consider it perfectly safe to intentionally consume or inject the stuff directly into our bodies. What If A Vitamin Could Have Saved Robin Williams? Robin Williams' health history would have made him a perfect candidate for Hoffer's high-dose niacin therapy. But would this therapy been better than the "best" drugs available to Williams? Ibuprofen Kills Thousands Each Year, So What Is The Alternative? A new study published in Lancet confirms thousands die from ibuprofen use each year, so what are viable alternatives? The pharmaceutical industry, and many doctors, appear to be making great efforts by to get as many people as possible vaccinated against shingles, but a safe and natural alternative exists. Okay, so you have a cold - or those around you have a cold. What to do? Get some drugs? Think again. Most are no better for placebo for treating the common cold. The most successful proven cold remedies are natural. Everyone talks about inflammation, but what is it really? Most of us have seen the Top 10 lists of why we should be drinking lemon water. But do we really know the added vitality and cleansing effects on the body lemon water provides? Detoxification is a nebulous term encompassing a host of therapeutic practices. Cell suffocating metals and organic toxins source oxidative stress/inflammation and have been implicated in everything from cancers and heart disease to Alzheimer's and depression. While some of us jump for joy with the arrival of spring, others greet it with dread. The warmer weather brings torture for many allergy and asthma sufferers. But there's good news: simple diet changes can help relieve allergy and asthma symptoms. You don't have to suffer from PMS or irregular menstrual cycles. There are natural ways you can boost hormonal health! Is Your Cookware Increasing Your Breast Cancer Risk? Have you ever thought about your cookware increasing your risk for Breast Cancer? Modern cookware is designed to support our fast pace lifestyle: "no-mess and easy to clean". However, that "no-stick and easy-clean-up" comes with a high price. Everyone needs a foundation, no matter what they are struggling with, and there are three steps to creating a healthier life recommended for everyone. 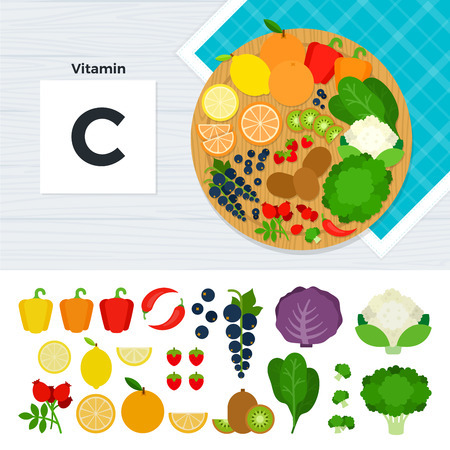 Irving Stone was an early thinker and writer about vitamin C (its scientific name is ascorbic acid). He knew it would be an uphill battle to change the way the medical profession viewed vitamin C. While most doctors accept that scurvy is a vitamin C deficiency illness, few have made the rather humongous jump to seeing high dose intravenous vitamin C as a major player in the management of cancer. Two recent studies prove that vitamin C is therapeutic for type 2 diabetes patients. One shows it reduces blood glucose levels and the other illustrates vitamin C reduces anxiety among diabetics. Life at its core is a phenomenon that requires energy in the form of electrons to operate and to keep its structures intact. Living cells are internal combustion engines that must have the right fuel and lots of oxygen to produce energy. Can Vitamin C Cure Ebola? If there were a drug that worked on Ebola you should use it. There isn't. There is only vitamin C.
If what we're doing may contribute to the new normal of childhood chronic illness, then here are 7 bold and brave ways to keep baby safe.